One of my favorite desserts on this planet (yes, we’re going for High Melodrama today, also, it’s that wonderful) is affogato, which translates from Italian as “drowned.” The lucky drowner is top-notch vanilla gelato, and it is draped in a single shot of freshly-pulled espresso. I see you arching your eyebrows and you are full of questions, aren’t you? Isn’t that horribly bitter? Doesn’t it melt the ice cream? How can it be your favorite dessert if it has neither butter nor chocolate with it? All are legitimate concerns but the thing is, when it’s done right — and there really is a magical balancing point between the volume of ice cream and the amount of espresso, that is, sadly, rarely achieved — the resulting mess is a semi-slumped mound of cold and sweet vanilla cream with a trench of faintly bitter latte around it. It is the ultimate grownup dessert — sure, you get the ice cream you’ve been angling for after dinner since you were 3.5, but you also get a bracing hit of espresso, just enough to keep you up past your bedtime, you know, when all the fun begins. When we got home, and sadly, yes, we are back in the land of hail-able taxis and waiters that drop the check on your table as you take the first bite of dessert, this espresso granita was at the top of the list of new things I had to cook immediately, although the word “cooking” is a stretch when all you’re going to do is stir some ice around and whip a little cream. In true Roman fashion — i.e. why make things complicated if you could keep them simple — there are all of three ingredients in this dessert, and though you may wish to clutter, I mean, enhance it with vanilla extract or orange zest or a glug of Kahlua, it needs none of these things to work its magic. Heads Up, Google Readers! As someone has been using Google’s RSS reader from the day it launched in 2005, I’m definitely among those sad that it will be shutting down at the end of this month (i.e. less than one week from now). More than 250,000 of you subscribe to the site through Google Reader, and I think it would be a huge bummer if you missed out on everything I hope to share here this summer (popsicles! sandwich slaw! mini-pies! ribs! picnic mega-sandwiches! grilled bacon!) because of it. What can you do? 1. Google makes it very easy to download your Reader data through Google Takeout and all alternative readers make it a cinch to upload this file to import your settings. 2. But why fuss? Two alternative readers I’ve been checking out since the announcement was made, Bloglovin‘ and Feedly, make it even easier, letting you skip this step entirely by prompting you to ask if it can import your Google Reader feeds the moment you set up an account. Both are so gorgeous and intuitive to use, you won’t be missing your retired Reader for a minute. I think the Italians do those contrasts so wonderfully don’t they – hot and cold, sweet and salty, rich and light. Perfect summer dessert. Loved following your travels on IG! Your granita looks like a taste of Italia, love! Thanks for the reminder on google reader. I need to get a move on. I’d love to hear how the barista reacted to an order of 14 shots of espresso! Mary — Ha! It helps to be a semi-permanent resident of a local coffee shop. They didn’t even bat an eyelash! My oh my does this sound wonderful! Love the pairing of the bitter espresso with sweet cream. I can totally see how that’d work. How wonderful does this look?! Thanks for sharing this, I lover reading of your food and travel odyssey! Val — I’d say 8 servings. Could easily be scaled down. What a wonderful after dinner treat! This looks heavenly. Definitely making this tonight. This looks incredible. I love my espresso, but I’ve never had it frozen with whipped cream. I’m going to have to change that ASAP. Those Italians are always coming up with such magical things. So are you so it only figures that you must be Italian at heart, if not blood. Oh this is so neat, especially with the warmer temperatures I am looking forward to trying anything to keep cool.. Thank you thank you for the Rome tips! We will be there soon (less than a month!) so I’m glad to have some recommendations like yours! deneen — There is a Links/Good Reads page (on the sidebar of each page, under “resources”). However, it may be going away with Google Reader. The list is generated from my own reading list. Your photos and descriptions left me with such an indescribable sense of homesickness for my time in Italy that I almost teared up right here in my Georgia coffee shop. Needless to say I’m leaving with 14 shots of espresso. Thanks for sharing. So glad you got your fix. I had it more than 1x/day more times than I’d like to admit as we stayed at the hotel next door! 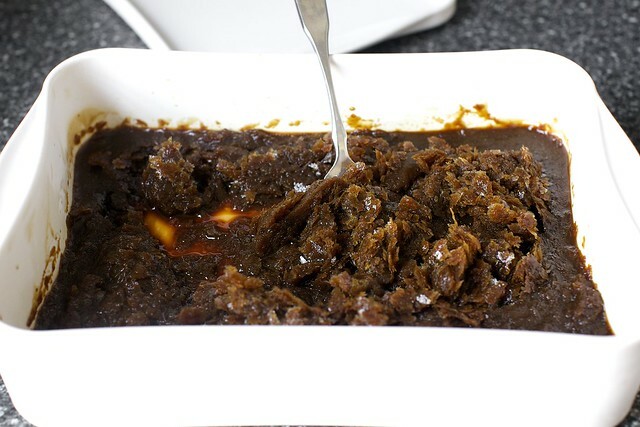 I have to make this as soon as possible, with a splash of Kahlua… Can’t wait! That’s so nice that you will be able to relive your trip every time you make these! And I love your notes and tips from Rome. So interesting to see how different each person’s experience is. I love going to European grocery stores, too. I am COMPLETELY in love with this take on affogato! Definitely a big favorite for me as well, but this seems so summery and fresh! I would love one of these right about now! That whipped cream on top must literally be the icing on the cake. Or the cream on the granita. Mmmmm, so good! And all the google reader stuff – gah, why did they have to go. I’ve been using Mac’s Reeder for about 6 mos now and not sure if that will work. I love it much more than bloglovin or feedly, but who knows if it will work now or not. We shall see! Mmmm- ice cream drowned in anything is a done deal for me! A few weeks ago I tried salted caramel ice cream with dulce de leche- so good! Do you know of any way to make dulce de leche dairy-free… like with coconut milk or something? Thanks for sharing your Rome tips! Food and travel, is there a better combination? And my freezer needs a clearing anyway, this espresso granita is the perfect excuse! You are the only person who can make a typo sound wildly exotic. I now aspire to sfot granita di espresso con panna – nothing else will do. Oh yes, these are totally happening in our household stat. I love it. 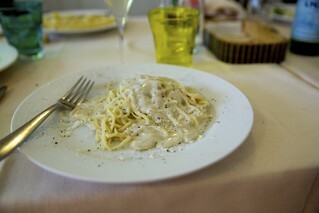 Peeked at your Rome tips and suddenly I’m craving homemade Italian food. I used to nanny for an Italian family and Nona made the best food! This looks so delicious, and it sounds so simple which makes it even better! I can’t wait for the day I finally make it to Italy…I imagine to myself that I’ll fall in love and end up staying forever like Frances in Under The Tuscan Sun. oh my word – this looks incredible! I saw it and had to jump right over. The photos are so clear, I really feel like I can reach in and grab one (how’s that for melodrama…but true). Rome sounds delicious! I am wondering however, do you think this would work with espresso made in a percolator at home for those of us not close to yummy espresso places? If we do go to a cafe to get, ahem 14 shots, will stirring the sugar in right away keep the espresso from getting bitter? and THANK YOU for your amazing site! This is like the iced coffee in Israel, coffee with vanilla ice cream melted into it. Also, my local coffee shop would never bat an eyelash is I came in with an espresso granita project. It’s kind of a Cheers-like atmosphere. Maybe they should be serving espresso granita… Nah, it’s going in my freezer and the sangria is going in the fridge. Only liquid and frozen this summer. Yum! I can’t have dairy, but am going to try this with “whipped” coconut. Can’t wait!! I loved following you on Instagram and seeing your pictures as you went! Affogato is a must in our house when the heat is unbearable and we still need our afternoon espresso. We have yet to try granita at home, sounds like we need to and soon! The last affogato I ordered had crushed amaretti at the bottom and a shot of Frangelico to chuck over it too. Amazing. This looks yummy! Your trip sounds amazing. Congratulations! YES!!!!!! Thank you so much for re-creating this recipe! I literally just did a fist pump/kick combo in the air. 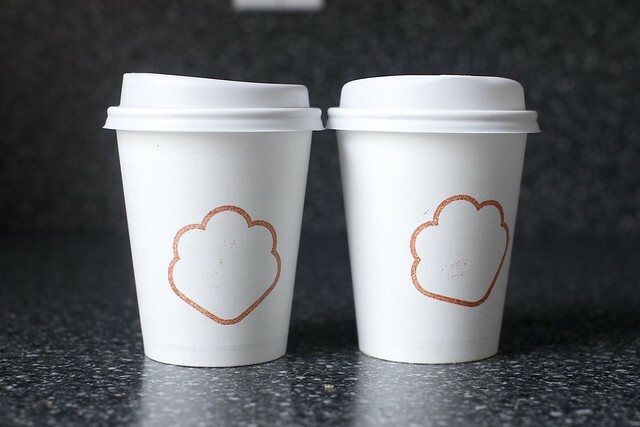 Do you have to buy the espressos at the coffee shop and take them home? Or can you make coffee strong enough in a French press? If you like this, you’d probably also really like Japanese style Coffee Jelly (jello). 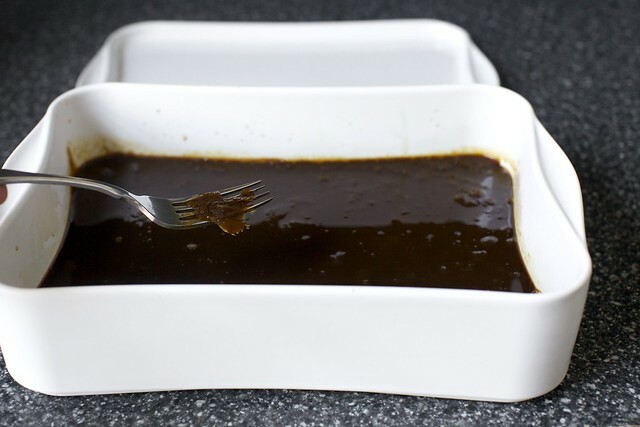 It’s super easy to make with a few cups of really strong coffee, some sugar and unflavored gelatin. Serve with whipped cream, or sweetened condensed milk. Deb – loved this post as we are headed over to Rome (Florence & Lake Como) in a few weeks. Happy to see a few of the restaurants we are hoping to try in Rome are also on your list. Great minds (tummies?) think alike? Interested to learn how your son did on his first big trip? Thanks again for all the great links! 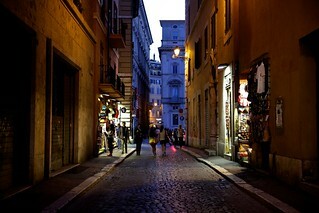 Rome is my favorite city on this Earth. Love the contrasts, the food and the people. So glad you were able to visit. I also remember the granitta shavers alongside Tiber on a hot July day. I think I ate on average 7-8 icy things per day for the two weeks I spent there. And how about that ice cream??? 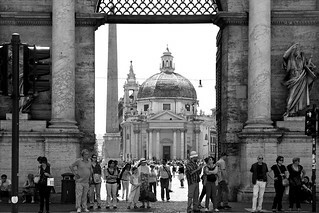 Thanks for bringing Rome us here, in the middle of a heat wave. There is poetry in simplicity, and this dessert is the perfect example of that! Quite possibly the perfect treat to end a summer meal! Your trip to Rome sounds amazing. I am more than a little jealous. I read your tips, and, no, you are not the only one who likes to visit grocery stores in other countries. I get teased for this, but how else can you discover what everyday life is like if you don’t investigate the grocery store?! I am so jealous you got to go to Rome. I was in Milan a few years ago and the affogato is one of the most memorable things about the trip. This sounds so scrumptious and really brings back memories. Would it work to make the granita in advance, perhaps a few days, or will it freeze too solid? I just have to say, “Wow! it’s been a whole year since Cold Noodles with Peanut Lime Chicken!! ?” It’s our favorite and my husband would be pleased if I made it every week. (But hmm…that’s a bit of work and a lot of limes). It’s so fabulous that even still it’s made regularly. Oh, my goodness!!! That sounds decadent and delicious and I want one now! My trips to Rome have always been in the summer to visit my family. Did you by any chance get to sample some grattachecca along the Tevere? It is and ice dessert but is not the same as granita. I love to watch them be prepared in the stalls. I love affogatos especially because I can adjust the flavor of ice cream from vanilla to salted caramel. So…can you see a drizzle of salted caramel over this granita and whipped cream mixture? Can you say – gilded lily? Sweet, salty, bitter, cold, creamy=yummy! I’m trying it this weekend! I am now making this into a take on a White Russian cocktail. I’ve added Kahlua to the ice mixture and a couple tablespoons of vodka into the whipped cream. Perfect for a lazy afternoon. Thanks again for the inspiration, Deb! Oh my, those Italians sure know how to do dessert! Both affogatto and this granita sounds divine! A pizza place near me makes an affogatto with carmelised pecans on the side and it’s incredible. But I love the simplicity of this recipe too! This is maybe a little silly–but thank you for the explanation of what RSS feeds are. I like to think I’m pretty tech-competent, but those have been a mystery for years. I have no words for how good this looks. I’ve got to get back to Rome! I only discovered Tassa d’ Oro in literally my last moments in Rome last fall. It’s probably a good thing as I’m not sure I would have been able to control myself. I honestly never even thought to make their granita at home. I did however bring home an immense amount of their coffee. Next time I know what I will do with it! This is so incredibly exciting! I sort of like affogato (espresso and ice cream….what could be bad….but as you say, it has to be a perfect balance and most restaurants just don’t care that much. Usually it seems to be the fallback dessert for the waiter to make when there’s no pastry chef) The texture and temperature of this seems absolutely perfect! Thank you! This looks amazing and is making me nostalgic for the two weeks I was lucky enough to spend hiking in Cinque Terre and Tuscany (and eating enough to balance all that exercise, fig gelato was my favorite), but what I really want to comment on is your mention of grilled bacon. OMG, someone else knows how awesome this is? I can’t wait to see how you use yours, for me it makes the best ever version of BLTs with lightly grilled bread. Yum yum yum. Made this a few weeks ago when we had our first little heat wave! It’s a little messy, but how about trying a cold coffee brew as the base. Start 24 hours in advance, put 1-1/3 cups of ground coffee and 4 cups of water in a container, stir and let sit on the counter about 24 hours. Then strain through a filter or cheesecloth and you’ve got an amazing super strong coffee, that isn’t as bitter as regular espresso (put into a container and store in fridge for up to 10 days or so). Voila, ready to make into granita! Or drink regular by diluting with water or, my favourite, iced vietamese coffee–top with a bit of milk, condensed milk and ice. That was delicious! Thanks! Though I must admit I used coffee made from my mocha pot (Bialetti) rather than buying $20 worth of espresso. And there’s lots left for tomorrow! I had coffee granita with whipped cream one hot summer day in some seaside town in Italy. Thank you for the food memory. I must find an excuse to make it again soon! I NEED to make this! Looks amazing and not too difficult… thanks for another great one!! You are brilliant! Not only have you recommended and described a delicious sounds dessert, but you have explained what the heck an RSS feed is. Who knew? Clearly, you, but not your mom. Merci! Oh I’m so glad you made it to tazza d’oro! That granita con panna is quite possibly one of the best things I have ever eaten, but I’ve never been brave enough to attempt to recreate it. But now I will! Thanks for all the Rome tips! Was wondering what neighbourhood you stayed in – am in early planning stages of a month of la dolce vita in Italy but am so confused by even this decision! Lovely Rome (haven’t been there for too long, now) and lovely dessert! I love affogato a lot, it’s very popular over here in Berlin as well, and I can’t stop marveling at the granita version of it. Great dessert! Ooh.. espresso slushie. That’s gotta be a good breakfast. ;-) Cold and refreshing in the morning. Also, I had my first affogato jusy a few months ago as desert on my hubby’s bday dinner. Have got to make it at home!!! Perfetto! As an American living in Milan now I am experimenting making some Italian concoctions. Having a dinner party for Italians this weekend so this is going on the menu! Thank you again! Definitely doing this with coconut whipped cream. Or is there a way to whip hazelnut milk? Coffee plus hazelnut is so perfect. So glad you had a good time in Rome – and the venue choices were good, too! Next time, you might want to check out TheRomeDigest.com for more. I have just one little correction (or clarification?) for your rome observations: the markets you mention, monday-saturday, are not farmers markets, just regular neighborhood markets. I know they look like farmers markets because of all the produce. The real farmers markets, with local farmers themselves manning the stands, are only saturdays and sundays. There are 4 of them in Rome at the moment. Thanks for a really sophisticated but simple dessert! Will be making this next time we’ve friends over. Loved reading your Tips for Rome! This looks so amazing! I’m totally adding this to my list of things to have after my son doesn’t require feeding. And Rome looks incredible! I remember my sister talking about this after her time in Europe, but I’ve never experienced it…yet! Thanks for the recipe! Also, I’m probably subscribed via Google Reader (curse you, Google! ), but I’ve already re-subscribed via netvibes, because I would hate to miss out! Kat — I never figured out what the neighborhood was called, but it was a few blocks from Campo di Fiori and near the Pantheon too. 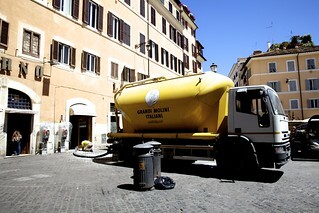 We had hoped to stay in Trastevere but never found a good rental there; we ended up thrilled exactly where we stayed. It felt very central and very easy to get to everything. My husband and I went to Italy for our honeymoon and fell deeply in love with affogato. We gave up half of our plans for traveling about the countryside just so we could instead spend several days walking into Portofino each afternoon, sitting and eating an affogato (that also included whipped cream – yay!) and watching the crazy giant yachts. It was heaven. Anyway, I’ve never actually made espresso granita, but clearly I must give it a try. Oh, I remember well the first time I had an affogato! So good and simple, it´s ridiculous. An inverse version is brilliant. Have you ever tried an affogato panna cotta? Another brilliant idea. As a former Barista, espresso has a very special place in my world. I adore it. I am a huge fan of the affogato… but I have never tried this. I have been considering buying a new Bialetti stove top espresso maker… and this recipe just pushed me out the door – wallet in hand! I can’t wait to try it! 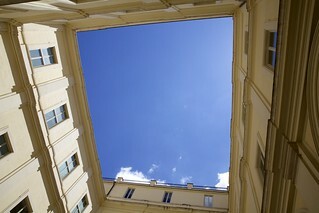 This brings back memories of our trip to Rome last spring to celebrate 10 years with my husband. A wacky tiki-decorated cafe off a beautiful cobblestone square, the luxury of ice cold espresso and velvety cream while leaning back against a fountain and watching the day come to an end. Thanks for bringing that all back! ok, looks like you did, just read your notes! Isn’t that place the greatest?! this looks delicious!!! what a great way to cool off for summer, and still receive your daily dose of caffeine! i just came back from rome last week and miss it already!!! i can’t get over how much better their coffee and gelato are out there! I will have to go and try this with 2 or 3 shots of espresso in one of my ramekins. The husband doesn’t like coffee anything, so it would be all for me! What a neat idea! I used to make poor-girl’s-affogato when I worked at a snack bar–a dollop of vanilla soft serve in a cup of instant coffee. It was okay, but now that I’ve had the real deal there’s no going back. I love your take on it, very creative and a great upgrade! I love affogato but I do take it over the top sometimes with some caramel sauce and salted nuts; guess it’s an affogato sundae then? This sounds heavenly; it will be done. I’ve made something very similar with strong coffee instead of espresso. I’m cooking on a budget, so any way to save a few $ is good news to me! Sure, it doesn’t tast quite like espresso, but I use locally roasted coffee and get beautiful coffee from my french press. Thanks for the reminder on this dish… heading to the kitchen now to put this together. My boyfriend sure is in for a treat when he gets home from work! splendid idea! 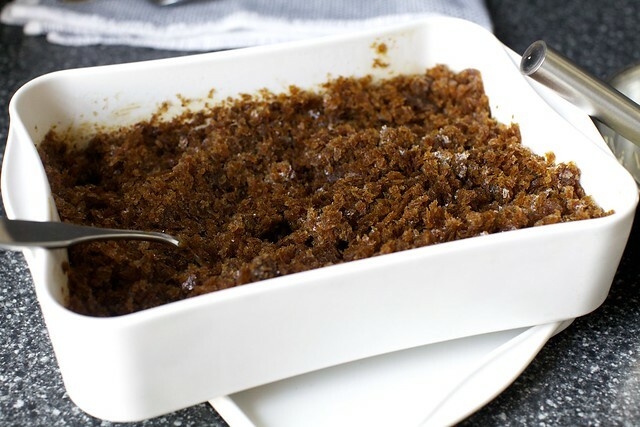 for those of us less granita-inclined (or with less freezer space, patience, and all of those enviable qualities), perhaps consider a version with coffee jello [http://allrecipes.com/recipe/coffee-jelly/detail.aspx]. I had caffeinated daydreams about this after a friend made me a refreshing cup of green tea jello. Then I looked online, and behold, someone had beat me to it! Totally making this tonight, as I have some extra cream I need to use up. Can’t wait! Ever since you posted this recipe I’ve been craving it big time. Cannot wait for an opportunity to try! Though I doubt that ANYTHING can replace the experience of an affogato in Rome (cue the swoon!) granita has to be it. It’s also a perfect excuse to have whipped cream for breakfast. The reminds me of what I love about Italian cooking: simplicity. I make this often using double strength coffee. It’s one of my favorite summer desserts. David Lebovitz makes Vietnamese Coffee Popsicles using strong coffee and sweetened condensed milk. That makes a good granita, too. I just had the BEST affogato at the Park Hyatt in Tokyo on my honeymoon (and I don’t say that lightly outside of Italy) …. mmmm this post it taking me back. Can’t wait to try it! Granita is the easiest summer treat. Huge fan! I love all your Italy pictures. The fountain picture is simply breathtaking and stunning! Now I need to go to Rome!! Great pics! Aarthi — Hmmm… sorry it didn’t come out well. It’s not a heavily sauced shell dish, so if you’d like it to be one, definitely increase it next time. Funny enough, I was just puttering around with another beloved baked pasta dish tonight and I know it’s really my preference not to have pasta fully submerged/swimming in sauce. As for the congealing, ick. It may seem less that way when you have more sauce. I’ve never had affogato, but that sounds friggin inrredible! I love this colder version. I must say it sounds incredible too. This recipe is a huge gift. I just got back from my first trip to Italy and I told everyone granita di espresso con panna was one of the best things I ate. Found it once in Rome and never found it again. Apparently it is huge in Sicily. Yes! Affogato is one of my favorite desserts of all time, but is so hard to find! I am going to have to try this inverted version very soon! Thanks so much! Perfect for summer with a combination of two of my favorite things – espresso and whipped cream! Can’t wait to try this. Deb- I cant wait to try this! It is my dream combination. I don’t know where else to ask this so please forgive my irrelevant comment. I made the artichoke stuffed shells over the weekend and ended up with dried shells and congealed béchamel. Do you think I overcooked the béchamel or maybe the pizza stone kind of made my oven too hot? I am planning to increase the béchamel by at least 1/2 a cup. The taste was delicious and we polished it off but the perfectionist in me wants to know for next time. Deb- Please no need to apologize. I have loved each and everyone of your veg recipes in the book- I attribute this to user error and not the recipe!. . I am going to try it with 2 changes: 1. to spoon more sauce over the shells 2. watch the baking time like a hawk. I did like the proportion of the béchamel but my husband drinks it like soup so I will make extra just for the béchamel fiend in our house. I overpaid for artichokes from Whole Foods so there is a lot of experimenting of this recipe in my future. This was so fantastic and refreshing! We will definitely be making it again soon. We used decaf and made it in a moka pot/caffetiere, and the coffee flavor was wonderful & intense. Thanks for a great idea! Do you think it’s possible to churn the granita in an ice cream maker rather than manually scraping every 30 minutes? Hi RZ — There is! It’s right here and I talk about it at the end of the post. Thanks for the reminder about Google Reader going away – I’ve used it for years and years and I’ve been in denial. I am going to try both Freedly and Bloglovin and see which one suits me best. Sometimes I just don’t like change and this is one of them. 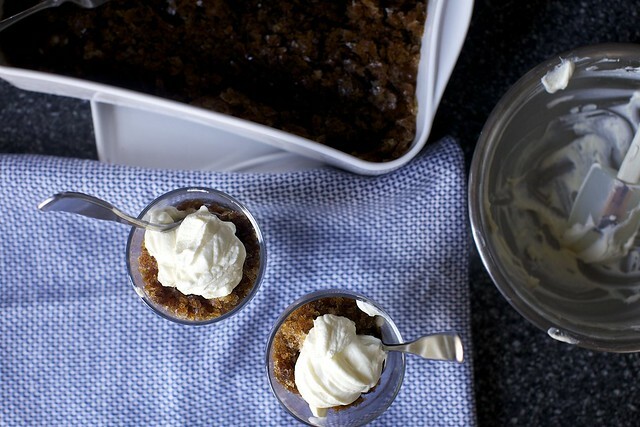 And the Granita looks divine – another use for our espresso maker! Jeeze! I was reading this post and it was *pure* enjoyment and happiness at the thought of making this dessert in the near future and then BAM!! an unwelcome (but very necessary) reminder to move my googler reader stuff over. Omgomgomg why do I keep putting it off? the best, the best, the best! Holy cow this looks awesome. So refreshing. Love the coffee flavor, will be making this right away! I am from the north of Italy and I am in love with Rome. Thank you so much for your energy and generosity in compiling a list of tips and places to eat! Oh this looks just fabulous! Can’t wait to try it with some company that I have coming! Ahh saw your mention of Bloglovin’ and Feedly in response to Google Reader’s demise, and just wanted to chip in that I’ve been using Bloglines since abandoning my Google Reader account and found it much favorable to Bloglovin’. Never tried Feedly, so can’t speak to that, but I didn’t like Bloglovin’s Tumblr-like dash that put all of my subscriptions in one place — Bloglines, however, is similar to Google Reader in that I can separate my Recipe blogs from my DIYs from Photography, etc, and either view them all grouped together or individually. Clearly just a matter of taste, but I wanted to mention it as I know how frustrating it is to have to switch platforms! So glad I can keep reading your site, in any case!! Va bene! That would go well with my perfect biscuits, berries, and ricotta. 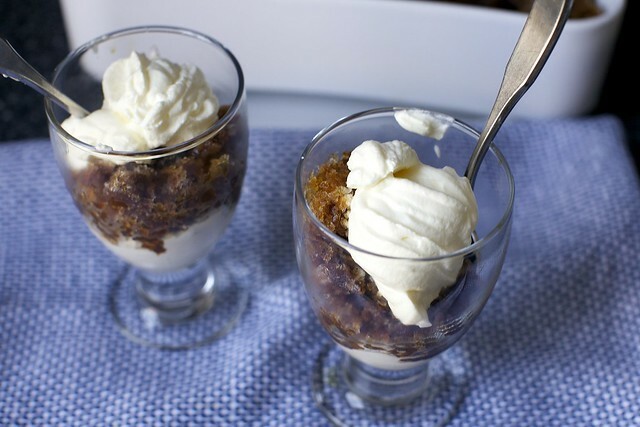 I love affogato, such an easy pudding and this granita is another classic, delicious. That looks easy to do but I think not really. I must try to do it. Really yummy! Thanks for the recipe. PLEASE tell me you are going to do a write up of all the wonderful places you ate! I have a trip to Rome in Nov and basically was drooling looking at all your pics on instagram. wow. how wonderful! affogato is one of my FAVORITE desserts and this recipe sounds easy and refreshing. by the way, i just made your japanese vegetable pancakes (substituting with soy sauce instead of salt, in the batter) and it was phenomenally delicious. not plain at all, and incredibly easy to make. i’ve grown to really take for granted all of your illustrative photos, descriptors, and side notes, but let me take a moment to express my gratitude and say THANK YOU for what you do! The thing I like about doing it this way is that it makes it super easy to do a single or double serving and doesn’t dirty an extra bowl. Don’t drink coffee, but wonder if this could be made into a chocolate dessert, either with hot chocolate (using milk) or even hot chocolate instant mix (using water)… I hate to miss out on such a delicious looking dessert…is this ever done in a chocolate version? Long ago on a semester abroad to Samoa, I fell in love with “Siamu Popo,” Coconut Jam. 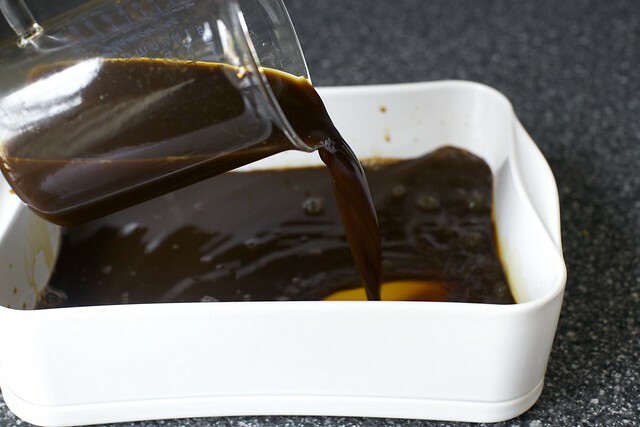 Sugar and coconut milk made quickly and easily into a sticky, loose caramel. I found you the recipe on the Peace Corps website, though they attribute it to Vanuatu. Pour sugar into a saucepan and cook over a fire, stirring until all the sugar caramelizes. Add the coconut milk all at once, and keep cooking and stirring it until the desired consistency is reached. Wait for it to cool a bit, and then put it into clean jars. #142 JP — look for a recipe for chocolate granita. Thanks, Sally #144…just three ingredients for chocolate granita, too…cocoa, sugar and water. Well worth a try. With heavy cream whipped, like Deb’s it will be the hot weather variation of hot cocoa. Just the thing to chill out with and I mean that literally! This looks fancy enough to take to my next dinner party and easy enough that I won’t have to stress out about making it! there are more than a couple of ways to make granita, in sicily especially there is the basic distinction between grainy and creamy granita..yum both ways! These look delicious. Do you have any recipes for things that can be served from jars? or drinks maybe? This looks so delicious! I love the combination of a strong espresso with something sweet and creamy. I made this last night for my family since the humidity is through the roof and it was UNREAL. Simple yet amazing. I ate the entire leftovers for breakfast in my yogurt. Delish. I definitely need to try this recipe! It looks delicious! Yum. That’s even better than ice coffee. Best website ever! My son (16) came home with a Bialetti stove top espresso maker, as per #93, and got me hooked on Cuban coffee. It works like a charm to make the “espresso” for this reciepe, 2 cups in about 5 minutes. Thanks Deb! I made this with today’s leftover coffee, since that’s what I had, and it was awesome. I’m sure it’s much richer with espresso, but I enjoyed it nonetheless! I just went to Rome for the first time two weeks ago! I didn’t get a chance to try any espresso granitas, which was a shame, but I did have coco-limone with chewy chunks of candied lemon peel. Yum! I also discovered that my baking was WAY more influenced by my Italian heritage than I realized, and that my family’s recipe for wine biscuits beats the forno recipe around the block. This looks gorgeous! I’ll have to try another commenter’s tip about making whipped cream in a jar (a mixture of virtue and necessity; it’s good for me, and I don’t have an electric mixer. 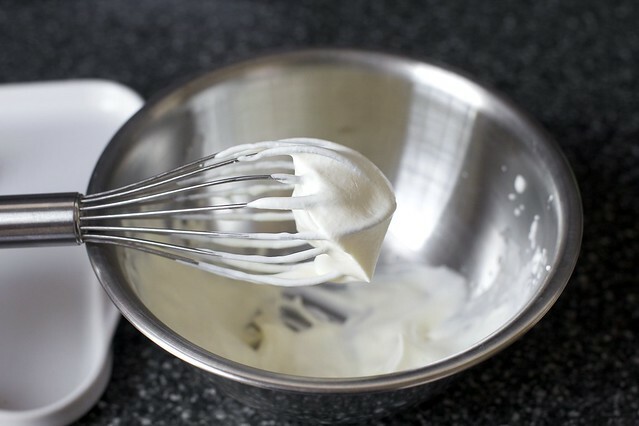 But not SO much virtue as to whip it with a whisk). Can you believe Ina Garten made coffee granitas with whipped cream on this week’s episode of Barefoot Contessa? Made this at the weekend and it was fab, just as good as the granita con panna I’ve had in Italy. My husband was worried when I ‘sacrificed’ 14 Nespresso pods for a dessert but he agreed it was worth it! Oy. How did I miss the link! Thanks Deb this is AWESOME. My husband brought me home some Espresso ground Ethiopian coffee from Africa. perfect opportunity to use it! I made the Granita, and set about whipping the cream (read:turned on kitchen aid) . I had to grapple with myself about leaving it plain cream. so much of me wanted to sweeten it and add vanilla. NO! I shall not veer off course!! I shall have restraint and trust Deb! And OMGsh…Thank you for the 2 minute trip to Italy. I had 3 little ramekins of it in one sitting lol. This is the most ridiculously simple, perfect treat ever. Thank you for the recipe, I’m gonna make one. Im pretty sure my family would love to have some.! Oh thank you, thank you, thank you. After a hellish Wednesday, Thursday and potentially Friday, this iis in my freezer now. I am going to make this today – it pushes all the right buttons for me! One question (and maybe it’s so obvious no one asked it): once the granita is actually made into its proper texture, will it just keep indefinitely in the freezer? Or do I have to rake it up a little bit more for future servings? I am going to make this in decaf :) because my kids eat what we eat and they love coffee, but holy caffeine in regular espresso. Gah! These were the highlight of a trip to Rome a couple of years ago, in that sweet little coffee shop around the corner from the Pantheon! I forgot how much I adored their simplicity. I made several batches of them when i first returned to serve as people dropped by to chat about the trip and see pics, but sadly, I forgot about them. They are going to revived as my go-to summer dessert for the next few weekends. I love love love affogato, espresso con panna (the hot version) and your recipe. Oh, and I love Rome. I am so glad to see that someone has the same coffee taste as I do. Beautiful! LOVE IT!!!!! made it today, meant to share with husband but had it all myself. clearly too much coffee for one Person, I feel a bit funny now, but it was just too wonderful! Well, I think you grabbed some of the spirit of Roma. :) Bravi! Just stumbled across this and it looks amazing. Reminds me of a dessert my Italian grandmother used to make. I am definitely going to try your recipe and find hers! I’m with you on the affogato, absolutely love them. This iced version is superb. Sometimes the only way to have my after lunch coffee on these hot Florentine summer days is an affogato. This granita sounds delightful; I’ll have to try it right away! Just got back from Sicily where we discovered caffé granita con panna – heavenly. I read somewhere that granita originally came from Sicily. I can’t wait to try this here. My twist on this, for particularly hot days when the granita refuses to stay crunchy for long enough: freeze the whipped cream, too! You lose some of the pillowy texture, but you get a nice contrast between the smaller airier ice crystals in the whipped cream and the larger crunchier crystals in the granita. It makes it a lot more like having a bowl of ice cream. If you’re serving it to guests, you can even make individual whipped cream “cups” (basically like you might do with meringues to serve with fruit), and then once frozen transfer the “cup” to a bowl and fill it with granita! I just froze a big bowl of whipped cream and scooped it, though. I made this last night and am still enjoying leftovers for my afternoon caffeine fix! The only complaint I have is that this is going to prove highly addicting :) Thanks, Deb!! So I just had to ask – Tazza d’Oro right? I was lucky enough to study in Rome for a year and their Granitas were one of the reasons I went a coffee hater and came back an addict. I hope you went to Giolitti’s for gelato as well. Their champagne gelato – mmmmmmm. Anyway – thank you so much. I wanted to recreate Tazzo’s Granita de Caffe con pana for my birthday – and lo and behold there is a recipe on your wonderful blog! I just fell in love with these while in Rome this summer yet and can’t believe I can now make them at home myself!! 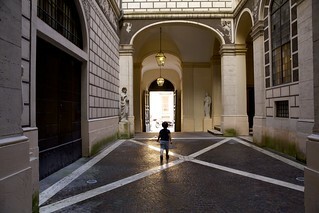 I’m just back from a couple of days in Rome with my family, and your notes and tips were invaluable! Have you ever done taralli? I checked here, and all I found was a dead link from 5 years ago implying you had them in your radar. Please hurry: withdrawal symptoms are just starting to set in. This was delish! I was wondering if I could “fork” into granita texture ahead of time and didn’t because I was nervous but just FYI–you can! Still held up for “leftovers” the next night! We did vanilla gelato on the bottom and sprinkles of shaved chocolate bar on the top too. Fantastic dish – thanks for taking the time to put this together, the kids will be very happy indeed! 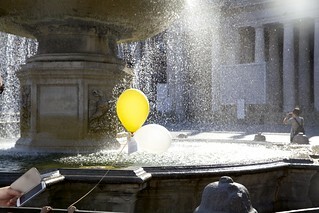 Deb, thank you so much for bringing back such wonderful memories of my childhood in Rome. Yes, we were given Caffe Granita con Panna as children. It was the early eighties – what can I say. And it was delicious! I just shared a link to this post on my most recent blog post. I hope that is ok. If not please let me know and I will remove it asap. Loved it! Yours looks yummy as well! This has become a staple in our house. We make four cups of espresso, only two tablespoons of sugar. 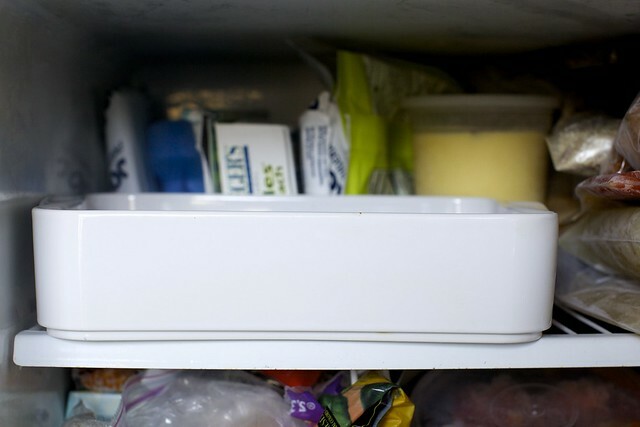 Once it’s frozen, we dump it in a Tupperware bin, and scrape serving into a coffee mug to serve. The handle keeps your body heat from melting the granita. Excellent for a summer day when you want your coffee fix but a hot cup would be unbearable in the heat. Hi Deb, I’m going to make the mushroom tart from your cookbook this weekend, and I always end up with leftover mascarpone. 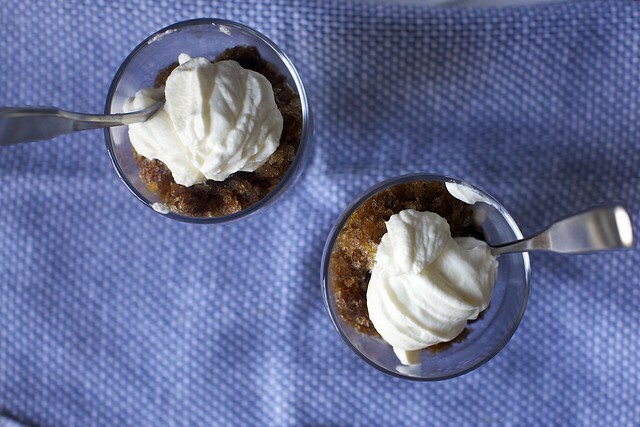 Do you think the espresso granita would go well with mascarpone instead of whipped cream? Any tips? Thanks in advance! Jess — I think mascarpone would be a little grainy, but it might not bother you. Mascarpone is wonderful whipped into whipped cream in general, or, let’s see, you can use it to make these strawberry tartlets (in lieu of ricotta) or this almost no-bake nectarine one. Thanks Deb! Made the mushroom tart this morning, enjoyed it in the park sitting in the sun (rare in London), and the espresso granita is in the freezer. I’ll definitely check out those two recipes, I love nectarines and ginger snaps so that sounds like a winning combination! A-mazing! My 17 year old son just returned from a post-graduation trip to Roma, and he said this was even better! Made mine with Stumptown Holler Mountain, which I run regularly in my gaggia espresso/cap machine. Each time I went to the freezer to scrape it, I’d sample a forkful. Needless to say, I didn’t need an afternoon iced coffee! 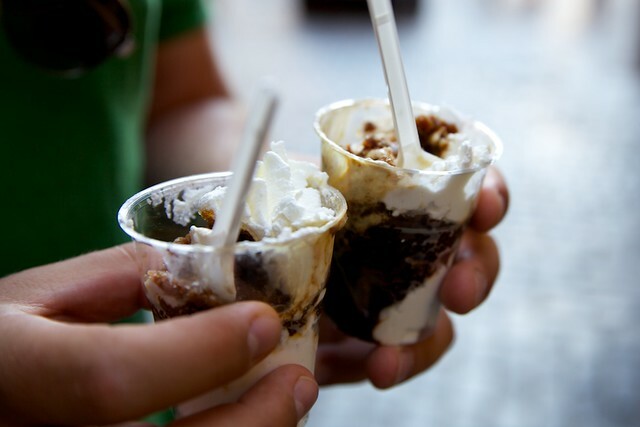 What granita flavor alternatives would you suggest to make a kid-friendly version? Now I have to go make this again. Thanks for the reminder! Has anyone tried making this with coffee concentrate, e.g., the kind that they sell at Trader Joe’s? I do not have an espresso machine and cannot bring myself to pay what it would cost for that much espresso at my local shop. Understood! I would make a very very strong batch of coffee. Not inedible, but with the intensity of espresso, and go from there. This is dead simple. And also AMAZING. I too love a well-made affogato, and this is its summer cousin. May I pahleeeze know where to get that lovely covered casserole dish? It looks like it would fit in my side by side freezer. I mean, plus, lovely!!! I think it came in a schwag bag from a conference I spoke at. I thought the brand was Revol but now I can’t find a match for it online. Sorry I can’t be more helpful. I have clearly failed at whatever efforts they made for me to do free marketing for them, heh.